So sorry I did not post my recap yesterday, when I was supposed to. I really don't want to go in detail of why I was busy, but I am here now to analyze the last week on our favorite online game. On Monday, we got another collection of Nelly.com. I am ok with this release. Maybe it was a not necessary, as we had new collection a week before. This seems to be slightly lower quality, in my opinion at least. Granted, it has several must-buy pieces, but too many dresses. I love long gray gown, and peach one as well. I am also a fan of lace blouse, but other than that, not much stuff I actually plan on buying. The same day, Stardoll announced update to Stardoll chat function, by adding emojis. I gotta admit, they are really adorable. And so many to choose from! But.. well, first of all, we needed other updates on chat, such as option to turn it off, and option to sue it while we have Stardoll opened in few tabs, kinda like on Facebook. 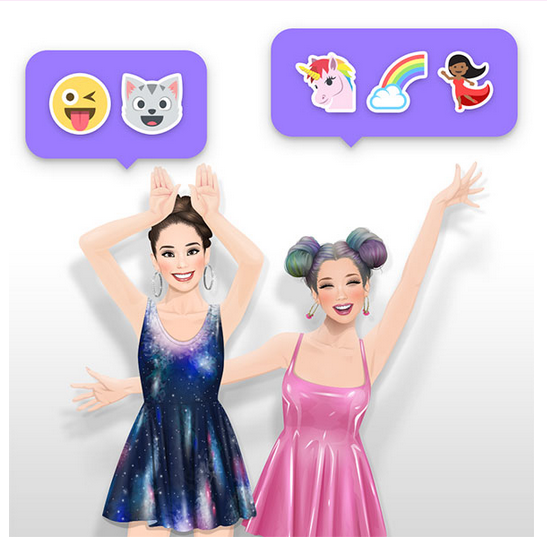 Also, there are few inappropriate emojis. My guess they will be gone soon, if they aren't already. I have no idea, I rarely use chat. It would be fun using them on people that annoy you. But it may lead to getting reported, which would be kinda ridiculous, right? Even though the collection is pretty amazing, I was pretty stunned when I saw some pieces that got re-released. For example, Elle skirt, for which I paid.. well, a lot. Also the white blazer. Other than that, I am really loving most of the pieces, and for once, I love outfits Callie arranged. I also love colors, with white and black as dominant, and some red pieces. 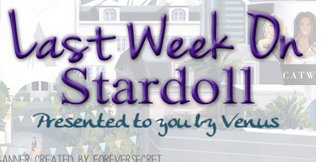 On Thursday, Stardoll announced 50% off leaving sale on Furry Friends selected floors. Furry Friends is one adorable store.. I mean, who could resist all the adorable animals. Even I am not putting my work in suite design, I dedicated one floor of Millionaire mansion room for my cats. Of course I had already all the cats from the store, but I am sad as I didn't get to buy other adorable animals. I kept postponing it, until it was too late. Anyway, I am hoping for a new collection soon, like they did with Nelly.com. Or maybe new pet-a-porter. On Friday, Stardoll released new Tress Up hairstyles. Friday was one crazy day. There were no spoilers prior to release, and users were expecting Young Hollywood, or something other limited. We kept waiting, refreshing, users checking spoilers. It wasn't around 1/2 pm GMT we finally got the spoilers. Hairstyles are really gorgeous, and many users have been waiting for a new release. Some prices are kinda high, but compared to Stardesigned wigs, they seem pretty fair. I prefer short hairstyles, but I don't completely avoid long ones. I just like trying on new stuff, and I am sure I will buy some of new hairstyles soon. 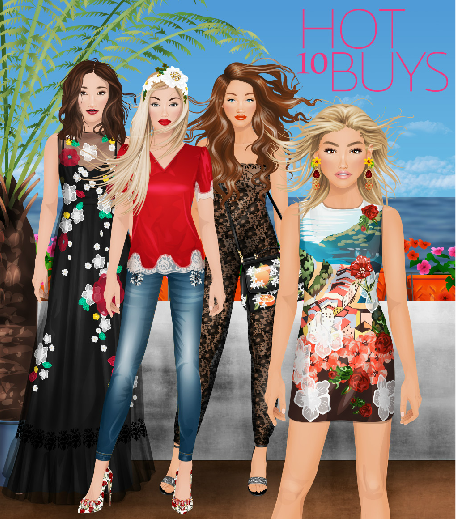 And on Saturday, Stardoll announced May HotBuys. Like A said, it appears all of May's Hot Buys are inspired by Dolce & Gabbana. There are many nice pieces, I am loving the red tee-jeans-floral heels-floral headband combo. Also, the colorful short dress is kinda cute. Other items are ok too. I will consider buying some of them. Except for jeans - they are a must buy item. And that was it for the last week. I hope you liked my recap, again, I apologize it was late. This week has started great, and I am really looking forward to new releases. Until then, vote, comment, and I'll see you next this week.